There have been numerous pitchers with sweeping breaking balls and blazing fastballs throughout baseball history. For those who love watching nasty pitching, there’s arguably no better time to be a fan of the game than now. Twenty different players have hit 100 mph on the radar gun this year (including the Reds’ own Tanner Rainey), Noah Syndergaard is flipping up 92 mph sliders regularly, and Shohei Ohtani is doing this. As I watched Ohtani go deep at the plate on Sunday Night Baseball to give the Angels the go-ahead run in a 4-3 win, I searched for some of his pitching highlights (side note: here’s hoping we don’t have to wait until 2020 to watch him throw again) and began to wonder which Reds have the nastiest pitches. Of course, I could venture a pretty good guess just based on watching so many games, but giving you my best anecdotes wouldn’t be very fun or informative. 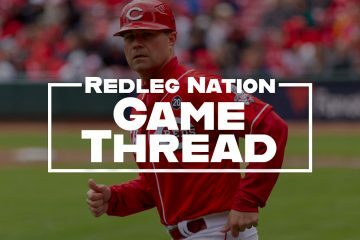 So, I dove into some of the numbers and decided to determine which Reds arms have the best pitches — an exercise finally worth doing after several years of abysmal performances on the mound. While he doesn’t have the highest fastball velocity among Reds pitchers (that honor goes to Mr. Rainey, who could find himself atop this list someday if his control comes around), Mahle may have the most effective heater. The rookie was heralded for his command of the pitch as a prospect and has carried that ability over to the big leagues nicely, turning to it 67.4% of the time he delivers to the plate. The Brewers’ Freddy Peralta is the only starting pitcher who throws the four-seamer more often. Mahle’s location and varying movement on the pitch allow it to be successful. He sits in the 92-93 mph range, but he can dial the pitch up to 98 mph when needed. He can fire it straight or throw it with tail — the latter of which is particularly effective against left-handed hitters. His fastball ranks 24th out of 88 qualified starters in FanGraphs pitch value and has held hitters to an average exit velocity of 87.1 mph, placing him 21st out of 110 starters who’ve allowed 50 or more batted balls on the four-seamer this year. It gets better, too. A total of 72 starting pitchers have thrown the fastball 500 times this year, and only 11 have a higher percentage of whiffs per pitch than Mahle (11.5%). His heater ranks ninth in xwOBA (.306) among that same group. And he doesn’t do it with the velocity so many of his peers do these days (usually) — he does it with impeccableÃ‚Â command. After an offseason filled with high-priced free-agent signings, the Reds made one of the best acquisitions by signing Hughes to a low-profile, $4.5 million contract for two years. Without gaudy strikeout numbers or velocity, the right-hander received little fanfare heading into the season. That was before he started flashing one of the best two-seam fastballs/sinkers/whatever-you-want-to-call-its among all relievers. It’s always been Hughes’ top pitch, but never quite to this extent. At the top of the list for fastball pitch value for bullpen arms are some usual suspects: Sean Doolittle, Josh Hader, Chad Green, and Blake Treinen. Sitting in ninth on that list is Hughes, ahead of 158 other qualified relievers. Despite using it nearly three-fourths of the time he throws a pitch, hitters have done nothing with it this year. They’ve hit it on the ground 69.0% of the time they’ve made contact, and they’re chasing it nearly half the time it’s thrown outside the strike zone (48.4%) per PITCHf/x. If you think that’s impressive, he’s alsoÃ‚Â faster than the bullpen cart. According to Statcast data, Romano is the only Reds pitcher who has thrown a cutter this year, and he’s only spun 24 of them. But he wins by default. Congrats, Sal! With all due respect to Raisel Iglesias, who’s getting whiffs on 26.3% of the changeups he throws this year and would probably win this fake award if he played for any other team, the nod here goes to Castillo. The sophomore slump has been real for the 25-year-old, but his changeup has been lights-out. Hitters have swung through it 27.1% of the time he’s offered it up this year, the highest rate in baseball. In the last six years, only five pitchers who’ve thrown the pitch 400 or more times have a better rate than that in a single season, and three of those campaigns belong to Cole Hamels (for the curious, Jeremy Hellickson in 2016 and Danny Salazar in 2015 are the other two). Castillo twirls the pitch to the plate at an average of 85 miles per hour, getting 10 mph of separation from his fastball, a devastating combo when paired with the horizontal ride and vertical drop he gets on the pitch. Even when he throws it outside the strike zone, it doesn’t matter. Hitters still can’t recognize it and lay off, with Castillo registering a ludicrous 50.8 O-Swing% on his changeup this year. Aside from the changeup, this was the toughest selection on the whole list, and Robert Stephenson would challenge for the top spot if he was eligible based on my silly rules. But he’s not, and so the award for best slider goes to Garrett. Although the southpaw has fallen on hard times lately, that doesn’t diminish what he’s done to this point, posting a 3.43 ERA (3.06 xFIP) through Sunday’s game. With his fastball averaging 95 mph out of the ‘pen, his slider is playing up as well. Garrett particularly likes to throw it down and away from left-handed hitters and at the feet of righties, who are 1-for-25 with a swinging-strike rate of nearly 30%. In total, hs foes have come up empty on swings 27.0% of the time Garrett has used his go-to weapon. Out of 153 relievers who’ve thrown 100 or more sliders this year, that ranks 10th — ahead of Aroldis Chapman, Kelvin Herrera, and Dellin Betances, to name a few players. Like Castillo’s changeup, Garrett’s slider is a tough pitch for batters to lay off, as evidenced by a 45.1 O-Swing%. When hitters manage to put wood on it, they’re averaging just 82.2 mph off the bat and hitting a pitiful .094 with a .226 slugging percentage. Who knows if we’ll get to see him use these weapons as a starting pitcher again, but it sure would be fun if we did. Another difficult call here. I could easily make a case for either David Hernandez or Stephens. Both are at extreme ends of the spectrum on spin rate for the curveball, and they’ve found success with those opposing approaches. I ultimately decided on the surprising pick here. Here’s why: Stephens doesn’t just have the best spin rate on the pitch on the team; he also has one of the best in all of baseball. That increase in spin has led to more swings and misses on the bender for Stephens this year, with a rise from 13.3% to 16.4%. 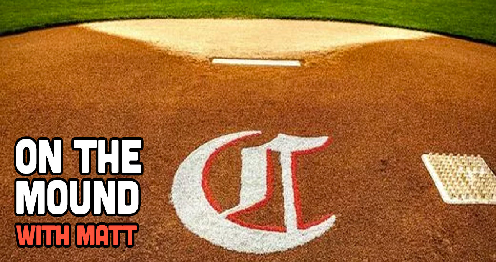 It’s also led to more groundballs (53.8%), as hitters are batting only 3-for-19 with an average exit velocity of 77.9 mph when putting his curve into play. While Stephens’ other pitches don’t show much flash, he has something potentially special here. Which pitchers can throw strikes and get batters out? A few starters that can consistently get 18 to 21 outs per outing would be a nice thing to have. Who cares if they can throw 97-98 mph if they give up 6 runs in 5 innings every time out. These guys are no better than the Adelmans and Feldmans of the baseball world. DeSclafani and Mahle are worth building around. Not much else is. 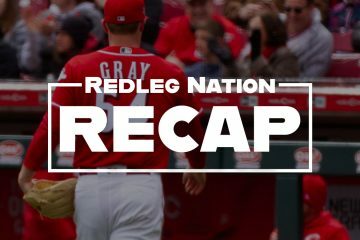 Here we are at the all-star break of 2018 and the Reds are still sorting out their starting pitching. With little to show for it. Where is the development? I think using effectiveness of the FB, and not velocity, is crucial. Curt Schilling had a nearly unhittable 94 mph fastball, where as Castillo has what I call a Todd Coffey fastball – high velocity, easy to hit. Mahle is closer to Schilling, and all the youngsters should take lessons from Schilling, Jon Lester, even Cueto. Location and movement of any pitch over about 90 mph is supreme to 1 or 2 more MPH. Add, subtract, locate. Even further back in the day, Tom Seaver preached to all who would listen that location and movement were both more important than speed. Some things in this life change very little over time. Man, Castillo. That cambio. If only he could learn to spot his fastball better (and perhaps add some more deception). He’d be right back in the ace pitcher conversation. Fantastic post. Garrett’s slider is my favorite pitch in the organization right now. Just filthy. Were you using the raw Statcast data? Or something else? I like the algorithm that Brooks Baseball uses because they use several methods, including communication with on field personnel and video, to verify the type of pitch. But, I’m interested in what else is out there. I know some classification systems differ on what they call certain pitches and the distinctions they make. Some are really difficult, like the difference between a cutter and slider. Thanks, Nick! I’m partial to Castillo’s changeup, but Garrett’s slider is up there too. I was mostly using Statcast data, yeah. Brooks Baseball is fantastic too. I just prefer Baseball Savant for posts like this because I can look at leaderboards and make comparisons between pitchers and specific pitch types more easily. Is Baseball Savant where you got the videos as well? Tyler Mahle’s fastball is my favorite, purely aesthetic reasons. I love the way he adds and subtracts velocity and when he’s on can spot it right on the corners. Super impressive for a pitcher that young. Lots of upside. Awesome work! Submitted this article for consideration to MLB Trade Rumors’ Baseball Blogs Weigh In. Look for it Sunday.